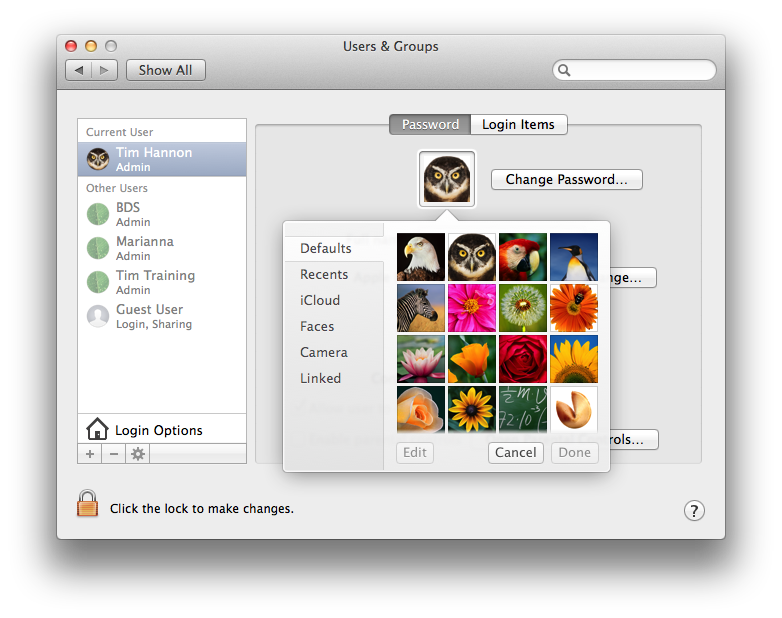 From the View menu select User & Groups if your Mac is using OS X 10.7 or higher. If your Mac is using OS X 10.4 through 10.6 then select Accounts instead. Click on the photo that appears to the left of the words Change Password. You should see something similar to what is shown in the image below. Select one of the included pictures or select one of the other sources like Faces, iCloud or Camera and select a photo from the chosen source. Alternatively, you could drag an image from a web page directly onto the photo area. When you select a photo you can use the Zoom slider to zoom in on image you selected. Read more about change, mac, OS X, Picture, user account.